CODY, Wyo. 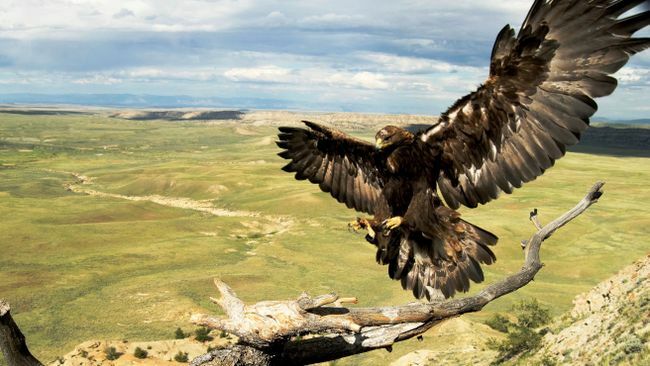 -- The Buffalo Bill Center of the West received a $50,000 grant from Duke Energy Foundation in support of Monarch of the Skies, an exhibition about golden eagles and their habitats. The project presents the natural and cultural history of the golden eagle and its conservation in Greater Yellowstone and western United States. The exhibition is slated to open in Spring 2018. Based on a decade of extensive field research conducted by the Center’s Draper Natural History Museum, the eagle exhibition immerses visitors in the power, beauty, and cultural and ecological significance of North America’s most powerful raptor. The exhibition integrates interpretive text, graphic panels, and audiovisual components with interactive features. In addition, the project’s plan includes stunning photographs, a reproduced sandstone cliff nest site, three-dimensional models, mounted specimens, and Plains Indian ethnographic objects. Golden eagle strongholds in sagebrush grasslands are undergoing rapid changes, and scientists are concerned about the impacts on eagles and associated wildlife. The “Challenges and Opportunities” section of the exhibition is designed to focus on the human-caused threats to golden eagles and associated wildlife, and the efforts of multiple stakeholders to reduce and mitigate negative impacts. One challenge golden eagles face in today’s West is increased mortality due to collisions with the growing numbers of wind turbines. The exhibition showcases these and a broad range of other efforts underway to ensure that the golden eagle remains a vital component of western ecosystems and our natural heritage. Duke Energy Renewables primarily acquires, develops, builds and operates commercial renewable generation throughout the continental U.S. The portfolio includes energy storage assets and utility-scale wind and solar generation assets which total 2,900 MW across 14 states from 20 commercial wind and 63 solar projects. Learn more at www.duke-energy.com/renewables. The Duke Energy Foundation provides philanthropic support to address the needs of the communities where its customers live and work. The foundation provides more than $30 million annually in charitable gifts. The foundation’s education focus spans kindergarten to career, particularly science, technology, engineering and math (STEM), early childhood literacy and workforce development. It also supports the environment and community impact initiatives, including arts and culture. 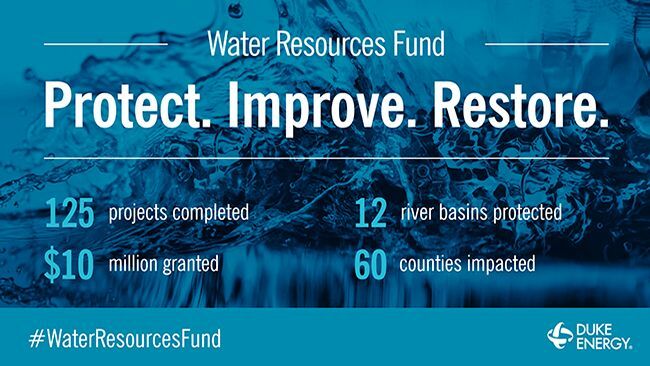 For more information, visit http://www.duke-energy.com/foundation.